When you want the best, you come to Ouachita Lawn & Garden. 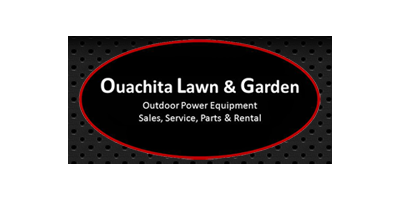 Ouachita Lawn & Garden has been in business since 2003. Our history goes back even more, over 25 years. Before Ouachita Lawn & Garden, there was Ouachita Valley Farm Supply. At that time feed and tack were sold along side mowers and parts. We believe in providing quality equipment and the parts and service to support the sales. We hope you will give us the chance to serve you.